Spring has finally arrived, and with it comes a new wave of spring weddings. As a Pittsburgh wedding photographer, I absolutely adore this season, just because of how romantic it makes everything look! The melting of the snow, the first few beams of sunshine warming up the air, the flowers blooming… I don’t think we can blame all brides that want to walk to the altar in this unique, lovely season. Choosing the perfect venue for your spring wedding can look tricky, but you’re in luck because Pittsburgh in particular has so many wonderful places to offer! From museums to rustic barns, from old palaces to a fancy barns, this city has beautiful, dreamy places to celebrate your special day, so you can forget about traditional venues and choose an original place to enjoy your fairy tale day. I’ve rounded up a list of the best wedding venues that are going to win you over. This stunning garden wedding venue is well known across the country for its beauty and versatility. It’s huge and has the option for you to marry indoors or outdoors. We particularly recommend the outdoor garden, because it’s particularly lovely in the warm weather! As one of the most beautiful wedding venues in the state, this mansion brings so many cards to the table. The wedding photography here is completely gorgeous, you’ll fall in love with its 1920’s architecture and it can even accommodate for up to 300 people! Such a fabulous place. It has such a modern, contemporary vibe and works as an unique wedding venue. The ceremony can take place in the Warhol Theater and you can also let your guest wander around and look at the displays! Now, this is perfect for the outdoorsy people. It has such diverse, lovely nature that is perfect for stunning wedding photography. This place also comes with its own set of caterers and rentals, so as a package deal, it’s pretty good! This is for the animal lovers — can you imagine having your wedding in a venue with penguins, owls and more beautiful creatures!? With such captivating scenery, this venue has so many options for your special day. Guest can wander around the Rose Garden Tent and smell the flowers or go to the to the Sky Deck Rooftop, to take in the view of the city. 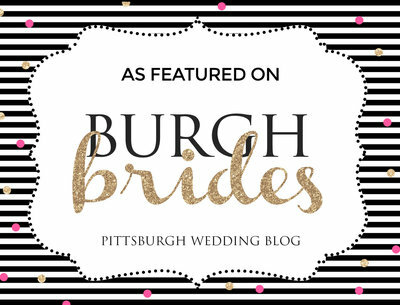 Pittsburgh Wedding Photographer Amber Marie Photography specializes is fresh, fun photography in the city of Pittsburgh and surrounding areas. Wedding Photography that is unique and timeless.